The pressing question is how well has this visit been prepared? What will avert a repetition of the kinds of statements Mr. Erdogan made on his last visit to Greece, when he disputed even the Treaty of Lausanne? One need only consider that Turkey is in an electoral period ahead of crucial local elections in March to understand why Prime Minister Alexis Tsipras’ visit to Turkey tomorrow for talks with President Recep Tayyip Erdogan will be no simple affair. The pressing question is how well has this visit been prepared? What will be the line of defence that will avert a repetition of the kinds of statements Mr. Erdogan made on his last visit to Greece, when he disputed even the Treaty of Lausanne? We shall soon have the answers. 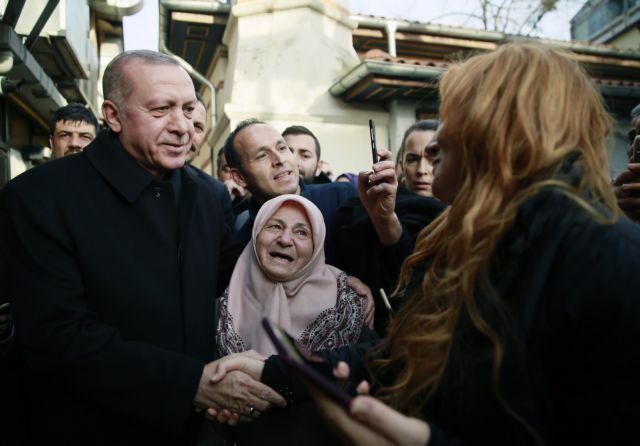 Tomorrow one will see whether the Turkish President will honour his role as host or whether he will exploit the Greek Prime Minister’s visit for domestic electoral purposes. One must not forget that many times Mr. Erdogan has fallen prey to his own unpredictable character and has surrendered to his impulses. Either way, the key issue remains that the PM’s trip to Ankara seems to lack a compass and appears to be occurring in unchartered waters. Such a trip should not be taken just for the sake of paying a visit. Mr. Erdogan’s visit to Athens demonstrated that personal contact does not always benefit bilateral relations. From that perspective, one can only wish that Mr. Tsipras’ visit to Ankara does not establish a negative tradition.